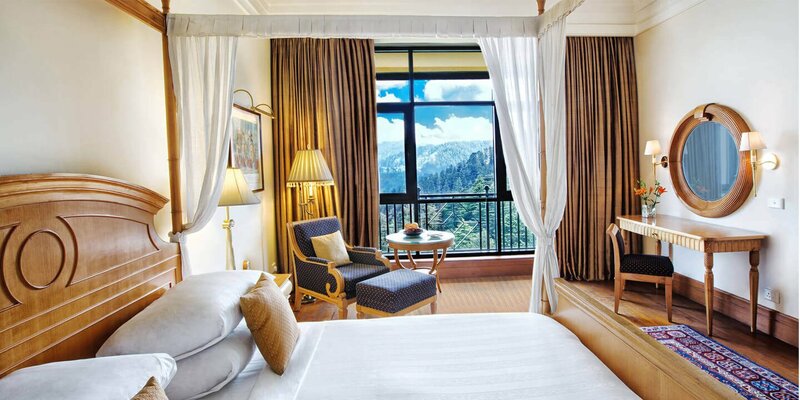 This luxury tour to the foothills offers a two-night stay at the Oberoi’s opulent Wildflower Hall, Shimla. It’s a fabulous introduction to the Himalayas and the perfect extension to a broader exploration of the region. 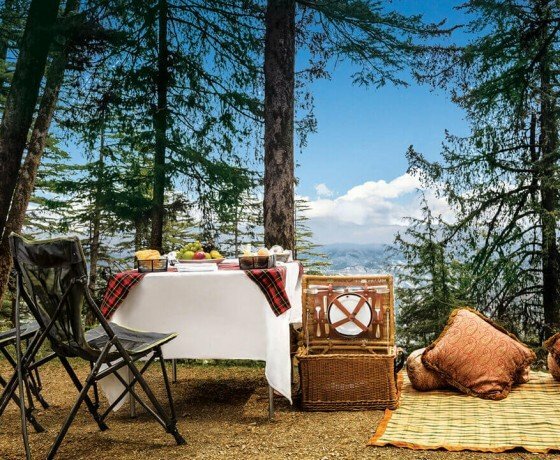 Affectionately known as the ‘Queen of Hill Stations’, Shimla was once the summer playground of the British Raj, and the cosy town exudes colonial charm even today. The famous and much-loved “Toy Train”, which runs on a narrow-gauge railway built in the 1920s, is not to be missed. 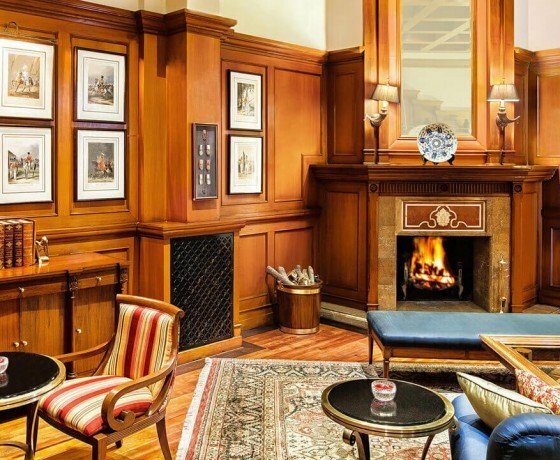 To connect the dots back down to Delhi, we suggest a stay at the Oberoi Sukhvilas en-route in Chandigarh. A new addition and the Oberoi’s twelfth hotel in India, this luxurious spa resort is surrounded by over 8000 acres of natural forest and is the ideal spot to relax, recharge your batteries and indulge in a treatment at the end of an exhilarating journey through India. 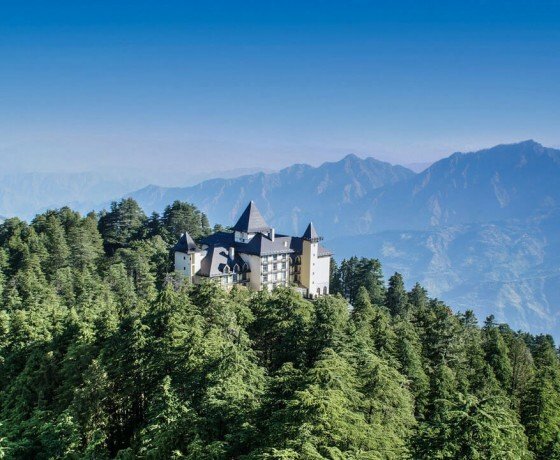 Our luxury Shimla tour kicks off upon your arrival in Delhi, where you’ll be met by a member of our team at the airport and chauffeured to the Oberoi Gurgaon for an overnight stay. The luxurious Oberoi is one of the capital’s finest hotels and has striking architectural features; like their huge blue reflection pool. Interiors are cool and crisp, with acres of glass and mirrors, dramatic red flower arrangements and bespoke art pieces. Take it easy for the rest of the day to relax and recuperate from your journey. Depending on the time you land, if you’d like to explore a bit of Delhi later today your chauffeur is always on hand. With an early start this morning, you’ll be chauffeured to the airport to board the daily direct flight to Shimla (06:15 – 07:25). 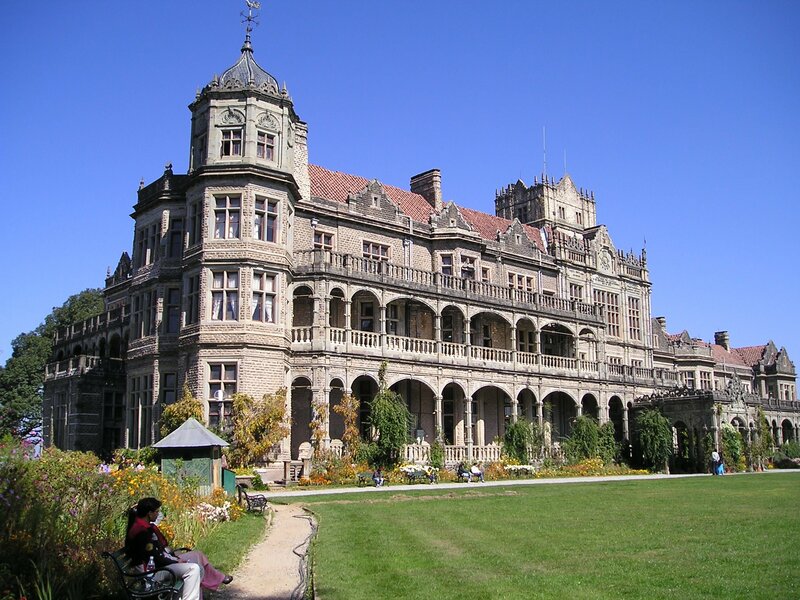 Shimla’s magnificent location, wooded slopes and refreshing climate make it one of north India’s most popular hill stations and have attracted many visitors since the small village was discovered by Captain Charles Kennedy in the early 19th century. Upon landing in Shimla later today, a member of our team would be waiting to welcome you in the arrivals area, holding a sign of your name. 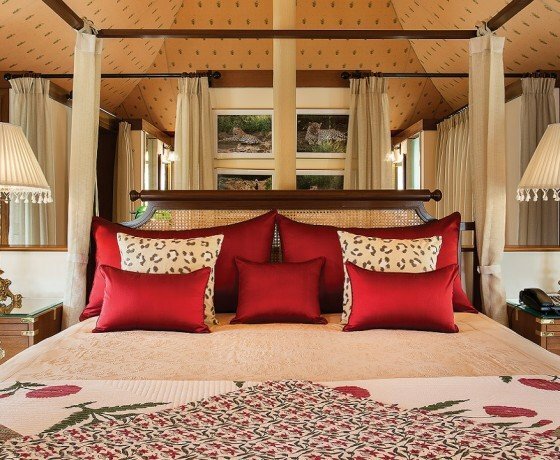 From here, you’ll proceed on a gloriously scenic drive (1.5 hrs) through the Himalayan foothills to the Oberoi’s Wildflower Hall, where the remainder of the day is yours at leisure to relax and indulge in your fabulous surroundings. 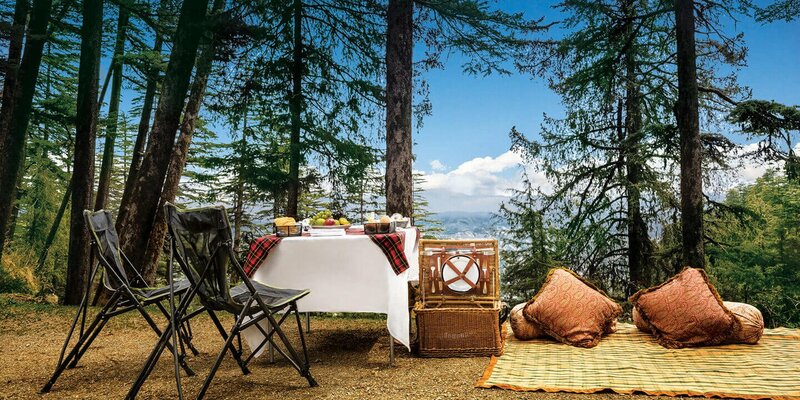 Located at the former residence of Indian Viceroy, Lord Kitchener, this spectacular property sprawls over 22 acres of beautifully landscaped gardens and looks out onto a stunning landscape of rugged mountains, snowy peaks and thick forests. 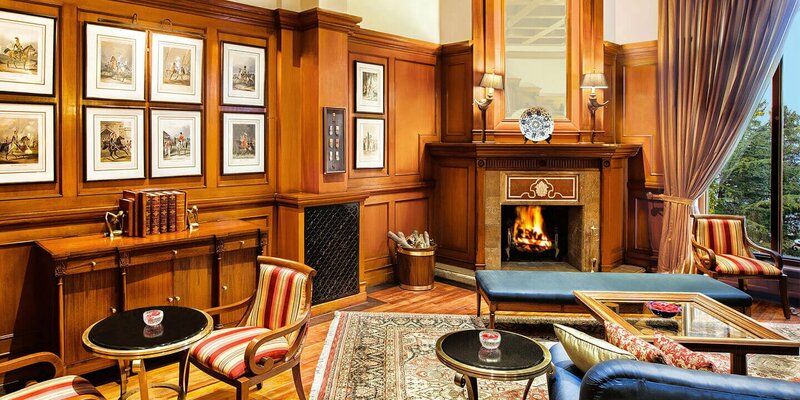 Inside, the rooms are cosy and comfortable, many offering fireplaces. The luxurious indoor pool opens onto a large terrace with outdoor Jacuzzi. 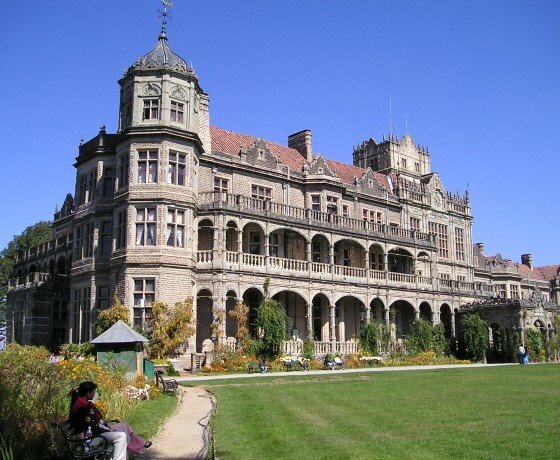 If you can tear yourself away from the Wildflower Hall, Shimla’s colonial highlights await you for a day of guided sightseeing. Visit the Viceregal Lodge, The Mall, Christ Church and The Ridge. This morning, board the much-loved Toy Train for a slow but beautifully breath-taking journey through the Himalayas. An hour later, on reaching the small station of Shoghi, you’ll disembark and reunite with your driver and proceed to Chandigarh. Check-in to the Oberoi Sukhvilas for two nights. An optional half-day guided tour of Le Corbusier’s Chandigarh today. Alternately, stay put at the Oberoi Sukhvilas and enjoy the facilities. Ayurvedic therapies, massages, steam, sauna, Turkish hammam and Roman baths are all on offer to indulge in. After a leisurely start you’ll be chauffeured back to Delhi (5 hrs) and return to the Oberoi Gurgaon for a last night’s stay. Today you’ll be chauffeured back to Delhi airport in time for your onward flight. Our journeys are inclusive of accommodation with breakfast, a private car with driver throughout, experienced guides, internal flights, entrance tickets and excursions. In other words, we offer a seamless and hassle-free experience where the only thing you need to worry about is soaking up the spectacular views and enjoying your fabulous hotels! This indicative cost is based on a couple travelling between October 2018 and March 2019, sharing a double or twin room. The cost would reduce significantly during the low-season months of April to September, whilst it would be noticeably higher during the peak Christmas and New Year period. 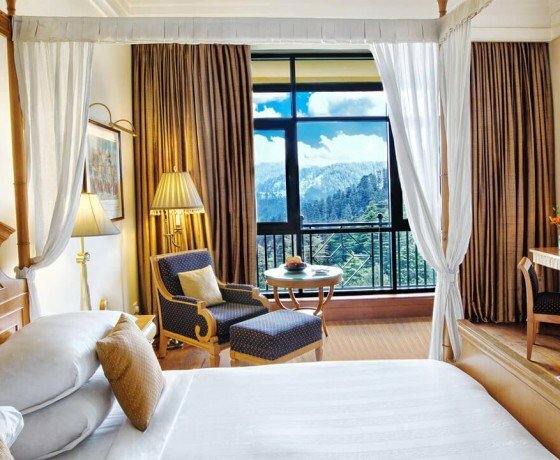 This suggested luxury tour to the Oberoi’s Wildflower Hall, Shimla is merely a starting point to share a flavour of the possibilities. Absolutely every aspect is flexible (from the hotels to the destinations to the length to the sightseeing). 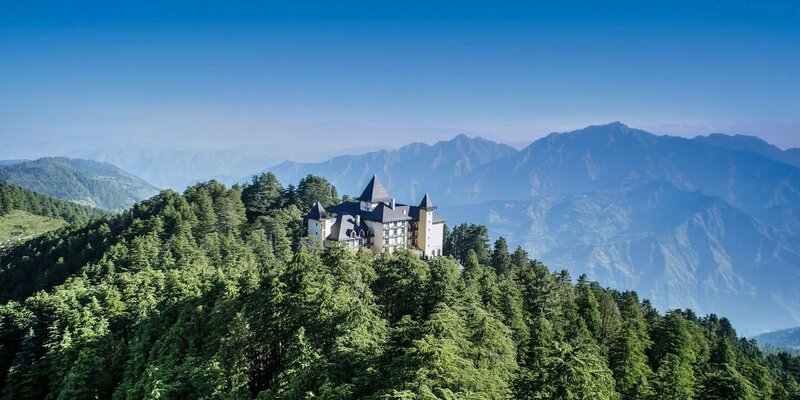 For example, you may prefer to omit the suggested stay in Chandigarh in favour of flying back to Delhi from Shimla. Similarly, that recommended last night at the Oberoi Gurgaon in Delhi could be removed should you prefer. This itinerary pairs perfectly with our Oberoi Hotel Luxury Rajasthan Tour; or with our Oberoi, Leela and Taj Luxury Rajasthan Tour, and can be slotted in either at the start or the end. 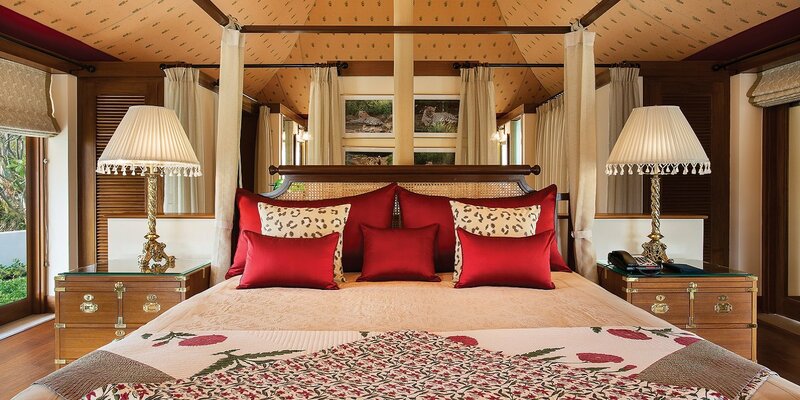 For inspiration, we’d recommend taking a look through our Insider’s Guide to Oberoi Hotels in India, by clicking here. Let us know what you’d like to create and we can make it happen!